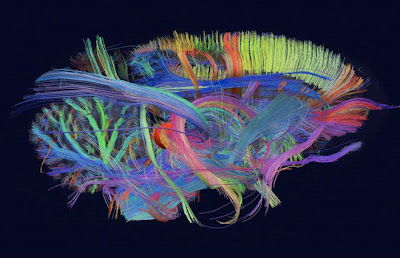 Immersive, connective, regenerative, the embodied brain/mind is a beautiful thing: It lights up like a Christmas tree when we feel most alive, engaged and active in the world; it's lights go out when we die. In this salon, publisher, researcher, somatic tracker and arts advocate M. A. Greenstein discusses the neuroscience research that has long inspired her to set up an 21st century, whole-brain learning and consulting institute dedicated to improving lives with embodied, "brain-aware” thinking and creative inquiry. The goal of the institute? To insure the future practice of more vivid, sustainable and open source design thinking and problem solving in facing the challenges of day-to-day urban life. M. A. Greenstein, an internationally recognized commentator, researcher, educator and coach on best and future practices for "opening the doors of perception." Based in L. A. with networked alliances throughout the Asia Pacific region, she founded The George Greenstein Institute and the future-focused e-zine BODIES IN SPACE to advance high level strategy in designing and adapting creative and holistic learning systems as well as to encourage progressive leadership in related issues of neurotech innovation and designing sustainable lifestyles. Dedicated to BIG THINKING energized by visionary "sci-art" and anchored by S.I.T. (Somatic Intelligence Training), Dr. G is a whole-brain systems generator who privileges "interoception" as a search engine for catapulting & mapping best design images and ideas. An Adjunct Associate Professor at Art Center College of Design, Dr. G. is also member of TED, Mindshare.la, The Neuroleadership Institute and in alliance with the Society for Neuroscience and the Neurotechnology Industry Organization. Dr. G. online: DrG@Twitter.com.